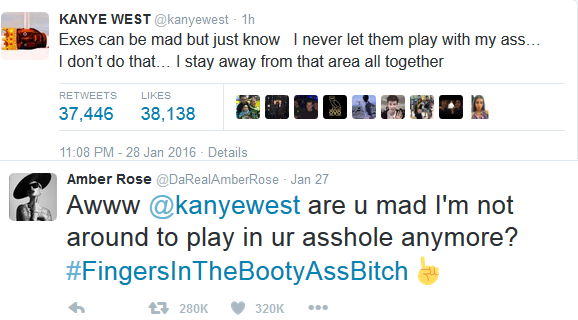 After Amber Rose's brutal comeback,claiming he's mad because she is no longer there to play with his '' bu*t,Kanye says he never let a woman get close to that area ever.. He also says he is into videos and photos(i.e xrated)No wonder he still loved Kim despite the s.ex tape.. Then, he concluded by saying him and Kim have the kind of love which turns exes to bestfriends(Whatever that means). Who do we believe now?